The other day I found out that the Brands Outlet Fragrance and Cosmetic sale was in town, so I decided to head along. 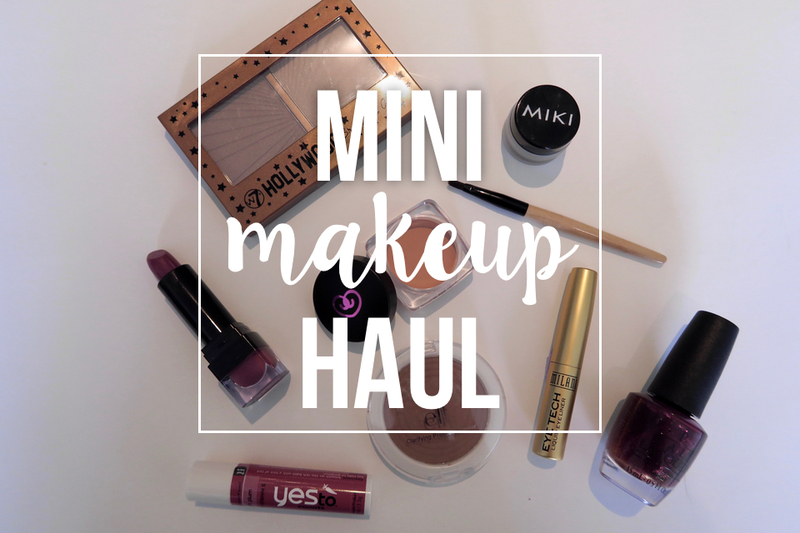 This time around, it was at Shed 6 on the waterfront, and I bought a few things that I wanted to share with you in my ‘mini makeup haul’. OPI – nail polish in red fingers and mistletoes. I’m pretty happy with everything I got, except for the cream eyeliner; I’m hot a fan of eyeliner in a pottle and definitely prefer black, so I’m not sure what I’m going to do with this (learn how to fill in my brows, so the end of my left brow doesn’t look so sparse, maybe?). 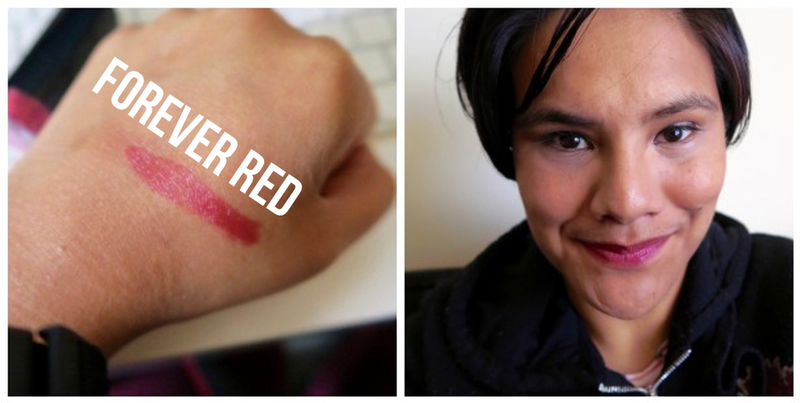 I also wanted to do some swatches/show what some of the products looked like on me. This colour is really subtle; it didn’t show up at all on a swatch I did. I really like the tint that it gives, and find this pretty moisturising.. This colour looks a lot more purple in real life, and Phillip said that it should have been called ‘forever purple’ instead. I love the colour, but feel that this lipstick comes off way too easily, and isn’t as long lasting as I would like. In this picture, I decided to go for a full face of makeup and have on a few of the products I bought at the sale, as well as a few that I already own. When I was first taking pictures for this post I thought they looked hideous, but I think that’s because I’m my worn worst critic – because looking at them now, I really like them. I’m also loving the full-face makeup look . We have a few weddings coming up in the summer, and I think I might go for a similar look (might need some darker foundation though, cause I’m getting a bit of a tan). 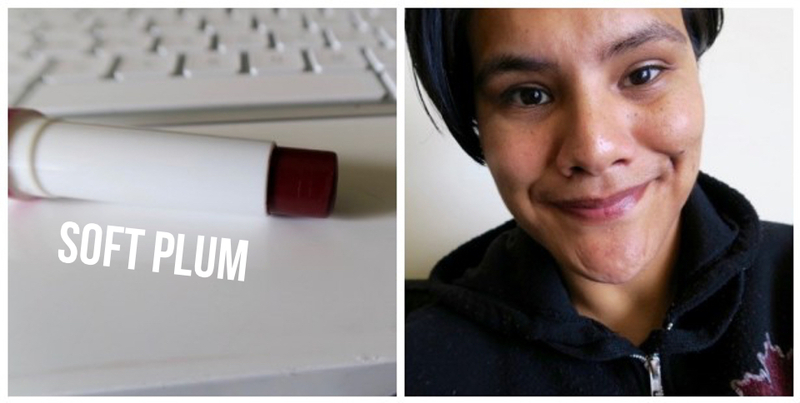 Have you used any of the products I’ve mentioned in this post? Did you like them, hate them, indifferent? This entry was posted in beauty, haul, makeup, makeup haul, sale, skincare, Uncategorized and tagged beauty, haul, makeup, makeup haul, sale, skincare.